Chox is a finely crafted premium red wine subtly combined with a rich dark chocolate from Holland, paired together to create a decadent, silky smooth drink. It can be served on the rocks or as the main ingredient to an array of sinful cocktails . Enjoy Chox chilled in a glass, create a mixed cocktail or add to your favorite dessert. Chox wine is sure to please. Hérisson Cider is now available in two forms— apple and pear. 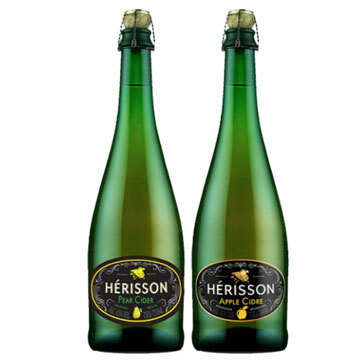 Using a traditional Nordic recipe with a French influence in production, the Hérisson cider is a modestly adorned sparkling cider that pushes out aromas of yeast, yellow apples / pears, green grapes and honeycomb. The juicy palate is zesty and reminiscent of Moscato wine, with similarly sweet creamy mousse with a lemon peel flavor and acid that drives through the richness.